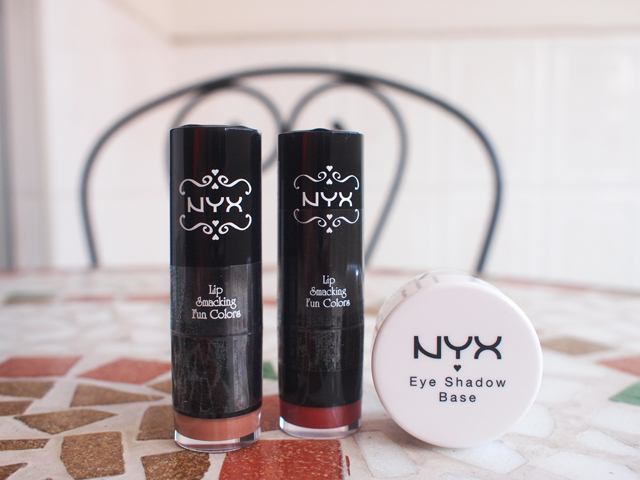 I'm giving away the following cosmetics from NYX! The cosmetics were goodies I got from the OCBC Frank Party I attended with Fiona and Juvone a couple of weeks back! The party was held at Avalon. 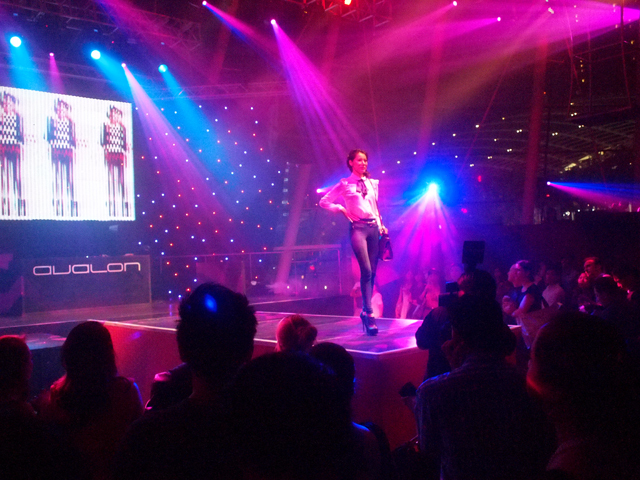 It started with a song performance and then a fashion show by Forever21! That's Fiona beside me. Took photos with her but the photos all kinda fail. 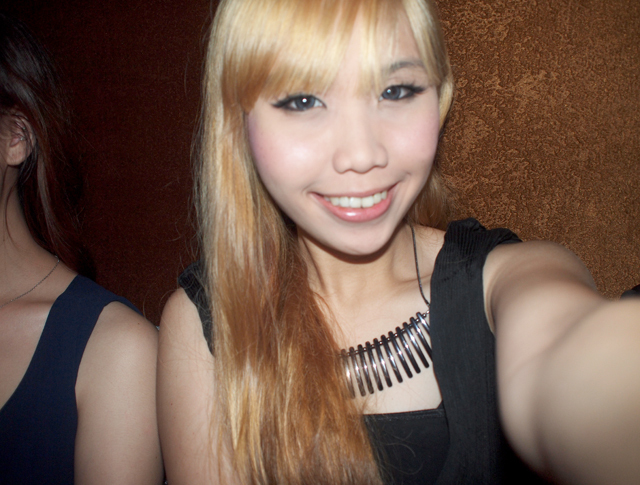 The camera could not focus properly throughout the night even with flash, as it was dark in there. Took photos with Nadia and Jacelyn who were there too! But again, photos all fail. The necklace I'm wearing is from Jipaban! 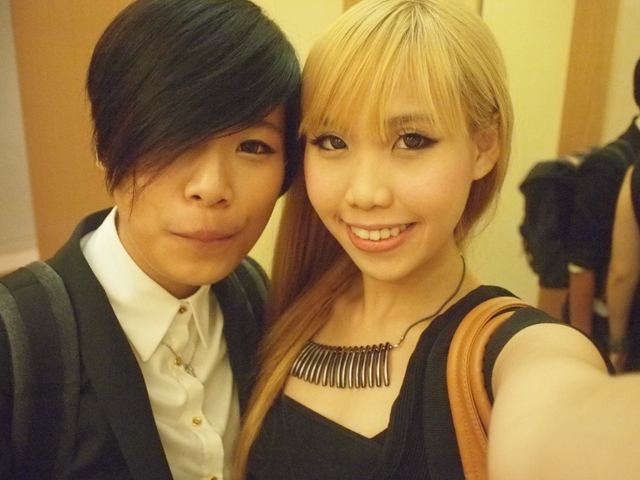 Picture with Juvone after we left the event! Went to Bedok85 for stingray, oyster omelette, pork congee and BBQ chicken wings! Yum yum! I wish I live across the street from Bedok85~ Or even better, Chompchomp. 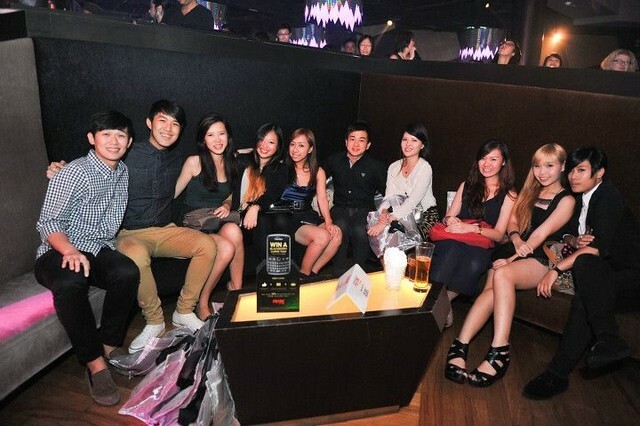 Update: A kind reader emailed me a group photo from OCBC's facebook page. Thanks girl!